My love for arm candy is getting a bit out of control and so is my limited storage for it. I had to come up with a clever idea to not only store them, but also display them in a presentable way. If they are not out where I can see them, then I forget what I have. Out of sight out of mind. With all of my colorful pieces I decided white would look best to hold my bracelets. I used simple items like vases and milk glass bowls to store them. As for my stud earrings, I kept a necklace gift box from Shoplately to neatly spread them out. The styrofoam keeps them elevated without damaging the back of the earring. My Spring cleaning is slowly progressing hee hee. I got rid of bracelets I no longer wanted or cared for. Next is my closet. That's going to be a challenge. It's almost five in the evening and it's time to get dolled up for a fun night at the movies and a yummy dinner with my family. How's your Friday so far? Thanks for stopping by! 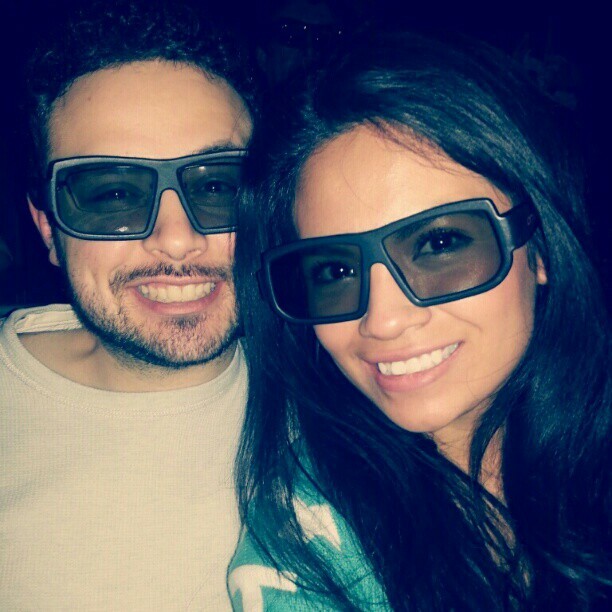 "Iron Man in IMAX 3D With my mom, brother, brother in law, Fiance @ricvil25 and Sisi @nyd2405. #ironman3 #familytime"
I really like how you set that up! I have some jewelry and I really didn't know how to organize it until I saw this blog post. Dimensions were sufficient for me, plus the convenient parking is a nice bonus when you need to quickly stop by, pull something out of storage, and jet off. I was looking to have further discussions on this Self storage software. What a fun way to display your beautiful collection...love! beautiful Bracelets are not just for ladies anymore. Men are being offered a larger assortment of styles to bring just the right level of sophistication to any attire.